If you’re looking for ways to bring life to a party or get-together you’re hosting soon, don’t hesitate to reach out to party entertainers Salt Lake City at All-in-Fun! 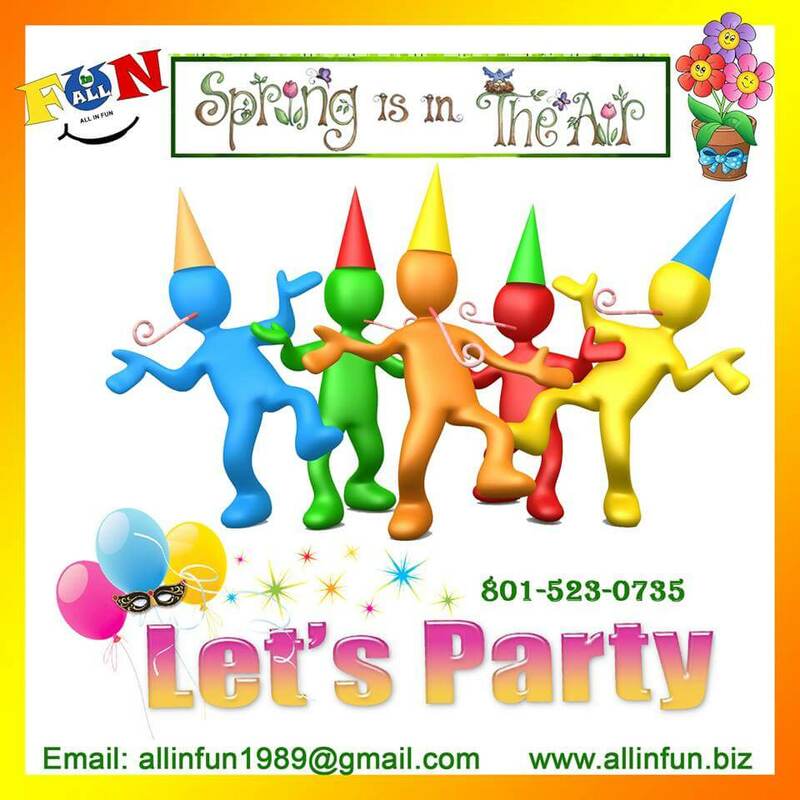 All-in-Fun is happy to provide a variety of entertainment options for a wide variety of events including kids birthday parties, fundraisers, weddings and more. If you aren’t quite sure exactly what avenue you’d like to go down as far as entertainment, it never hurts to get in t ouch! We would be glad to explore potential entertainment options with you. We take pride in having a profound impact on every party we contribute to. No matter what kind of crowd you’re looking to attract, All-in-Fun is capable of providing a fantastic experience for everyone in attendance. From kids birthday parties, to highly-attended corporate events, we’d be glad to prove to you that you can’t find a better party entertainment option in Salt Lake City than All-in-Fun. With the warm weather approaching, there’s no doubt that you probably plan on having one or two events in the upcoming months with some guests. Why not do everything you can to ensure a great time for everyone in attendance? Now is the time to start planning all of your events for the summer, which means there’s no better time to explore all of the entertainment options All-in-Fun can provide you with. Without proper entertainment in place, you can’t guarantee everyone will have a great time at your event. By consulting with All in Fun while you’re still in the process of planning the event, you give yourself an opportunity to stand out by providing an entertainment experience no one in attendance will forget. If you haven’t considered the entertainment for your next spring or summer get together, maybe you should start gathering some ideas. Some creative party ideas that All-In-Fun can provide you with include inflatable bounce houses, stilt walkers, mimes and so many others! Don’t miss out on the opportunity to enhance your spring and summer events by taking advantage of our various entertainment options. All-in-Fun is more than happy to break down all of your options with you to decide which one is best for you. Once again, you want to make sure your entertainment options stand out to attendees to make your event unforgettable. As far as party entertainers in Salt Lake City go, there’s no better one to choose from than All-In-Fun. The versatility offered along with the talent of our entertainers can’t be topped! Come see what all of the buzz is about when it comes to our party entertaining skills. You’ll quickly come to the realization that providing a great time to everyone in attendance will make your party an unforgettable one for everyone in attendance. AND we have I*N*F*L*A*T*A*B*L*E*S ~ You will be THRILLED. ? Give us a call ? 801-523-0735 ? And we’ll tell you MORE!